Your website is the HUB of your business. Leverage your brand. We are a website design company in New Jersey. Since we know the area well, we’ll work with you to make sure your website will attract local customers. But building an effective website is more than just building one that’s beautiful. Your website needs to be functional. Besides conveying your brand properly, your services and products should be explained simply. The content on your website should evoke the emotion of the viewer. If you website doesn’t ask the viewer to act, you’re missing out on a perfect opportunity to engage your prospects. While it may seem obvious to you, not including a call to action is like having a printed brochure that sits in a drawer! And a myriad of other considerations. The navigation. People aren’t very patient anymore. If you make them work to get through your site, or if you’re confusing them, they’ll go somewhere else. The responsiveness. 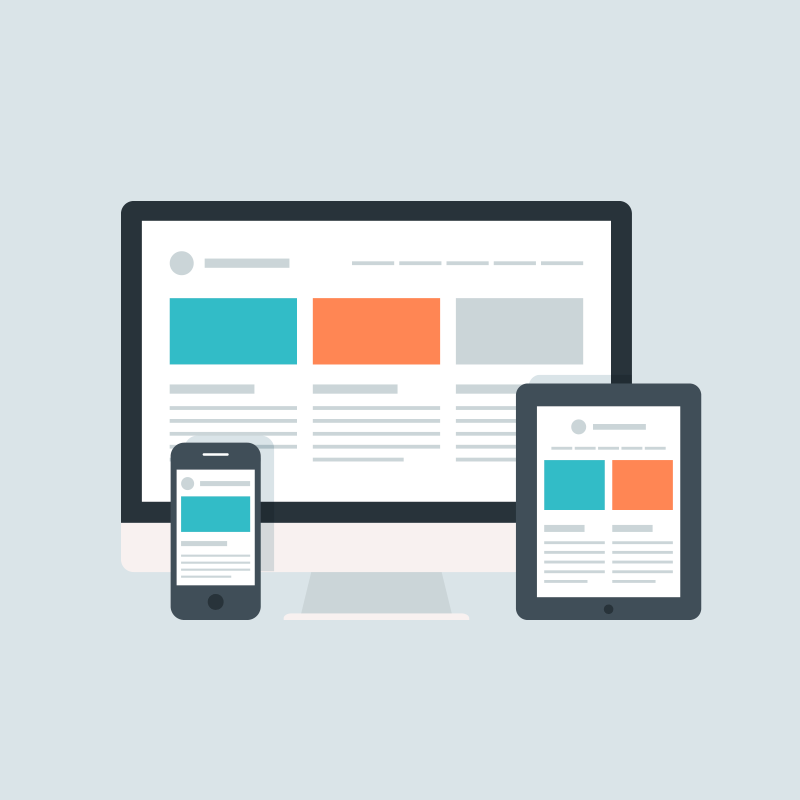 Whether your audience looks at your site on a computer, phone or tablet, your site comes through loud and clear! Your SEO. When we look at sites, we often find that page descriptions and headers are missing. This data is coded into the site and if it’s missing, if it’s not descriptive of the content, or if the information is repetitive, search engines are not gathering the information they need and your business won’t be found. The ability to edit your content. Your site should be built on an application that helps you manage the content. A good CMS system will result in a site that you can edit yourself. Really, websites do need some care and feeding – especially if you want them to last a while. Knowing how to update your content is important to extending the life of your site. When choosing a website developer, it’s important to know that the company you select has the experience needed to create a site for your business that will be effective in every way. LBMS maintains website best practices. We leverage OUR expertise to build a website for your business that is functional, beautiful, and demonstrates YOUR expertise. Give LBMS, your NJ website design company, a call or send us an email.